Katie De Andrade of Dorchester (right) cradled her 3- month-old son Xander De Pina as she waited for a chance to be in the lottery to live at The Beverly on Court Street. 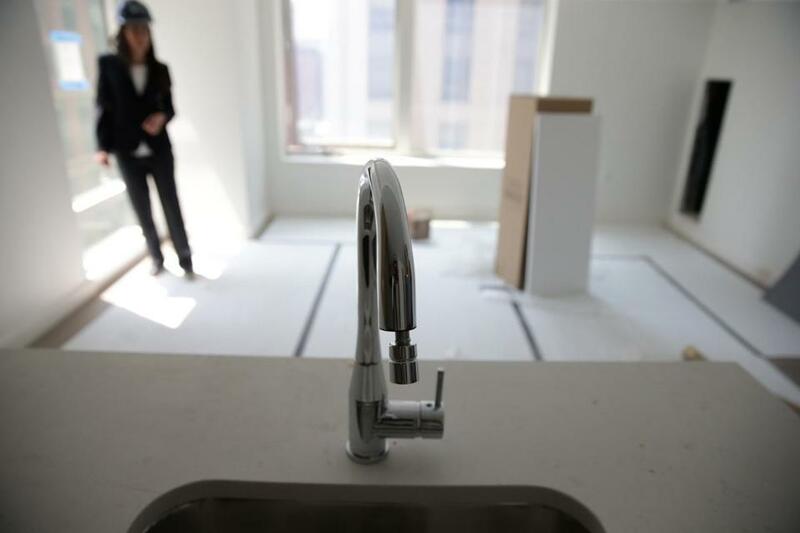 They filled the auditorium of a downtown office building, lined a long hallway, and spilled out into the rain on Court Street Wednesday for a shot at a rare thing: an affordable place to live in the heart of Boston. 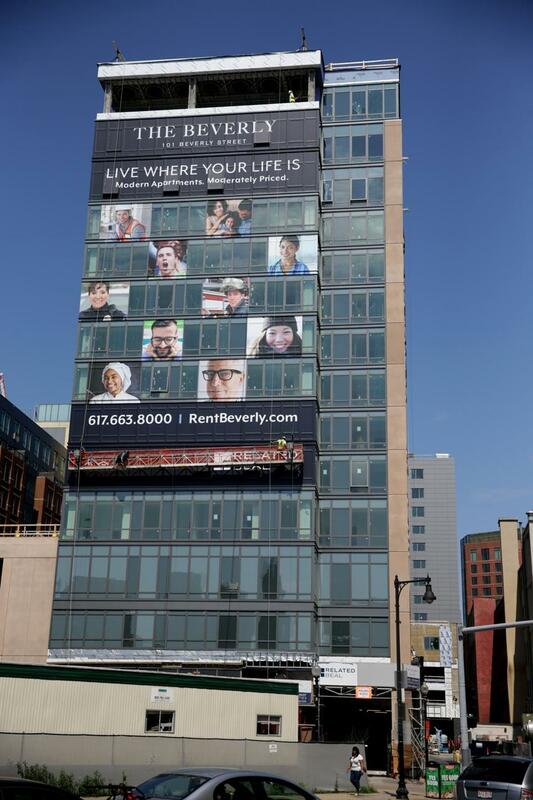 Hundreds came just to receive lottery numbers for The Beverly, a new low- and middle-income apartment building set to open next year near North Station. Thousands more did not come but will get their number in the mail soon. 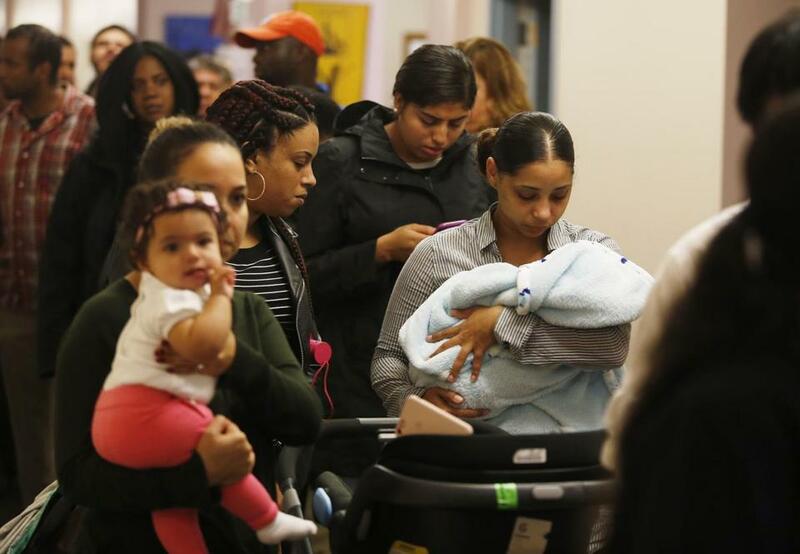 In all, organizers said, nearly 6,000 people applied for 239 subsidized apartments, another reminder of Boston’s massive housing crunch. Over the next several weeks, the applications will be sorted and winnowed down, with 48 of the much-prized apartments going to low-income renters — earning up to $41,400 annually for a household of two — and the rest aimed to serve a middle-class, even upper-middle-class, clientele for whom little affordable housing has been built. Rents, which are tied to income and family size, will range from $492 a month to more than $3,500 for a three-bedroom apartment — pricey for sure, but less than the new full-price buildings nearby. The throng who came by Wednesday for a chance to get their numbers and ask questions reflected the broad swath of Bostonians wrestling with the cost of living in one of the nation’s most expensive cities. The line in the hall included singles and parents pushing strollers, senior citizens and 20-somethings, people in security guard uniforms and people dressed like they worked at the banks and law firms that fill nearby office towers. One was Denise Macedo, who waited more than an hour with her 1½-year-old grandson. Macedo lives in Quincy, her daughters in Boston, and she often watches their children. It would be great to be closer, she said, and the new units at The Beverly are bigger than what she rents now, for less money. A shot at that is worth the wait, she said, as her grandson munched Cheerios and sucked on a sippy cup in his stroller. “He’s been patient,” Macedo said. For some, the lottery is a shot at stability. Holly Marcus lives in an affordable apartment building in the North End that is eligible to go market-rate next year when its federal subsidies expire. She lost an apartment once before, when the building where she lived was sold, and worries she might get pushed out again. She came with a few friends from her building also looking for a new place to land. After nearly two hours, Marcus and her friends reached the front of the line, got their numbers, and headed out. Now, the real wait begins as the Boston Fair Housing Commission sorts the applicants and starts calling them in for interviews. And as Marcus’s neighbor Maria Vigorito left the auditorium, she had a request of whoever would listen. “Pray for us,” she said. 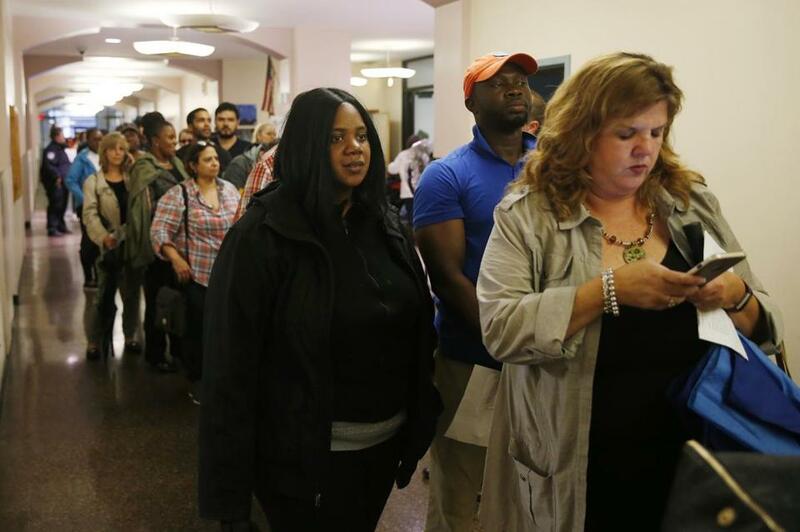 People waited in line for an Income Restricted Housing Lottery at The Beverly on Court Street. One of the units under construction at The Beverly in Boston, as seen in August.